Working with clients always involves lots of moving parts. At Animade, an animation studio in London, those parts are often dancing, jumping, chasing each other around and, when needed, party pooping. Though the finished animations look like they've sprung to life on their own, lots of planning, storyboarding, and revising happens behind the scenes. 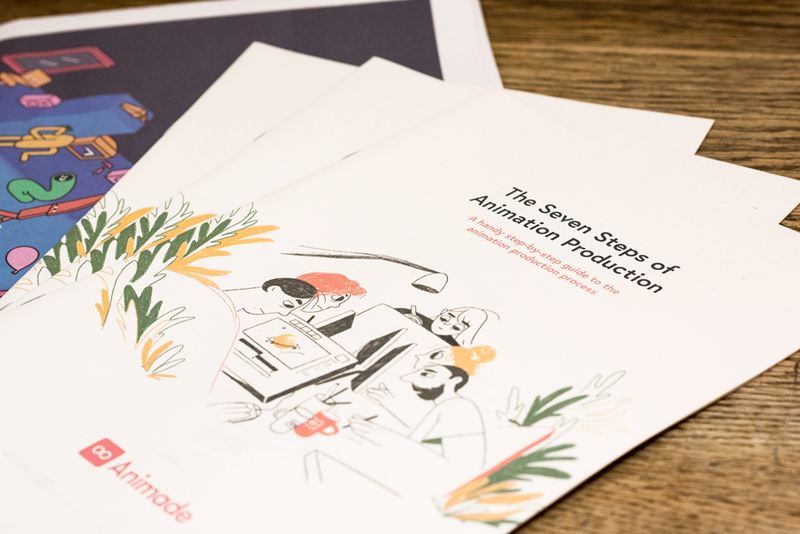 To educate clients about what they do, and how they do it, Animade published The Seven Steps of Animation Production on their blog in 2016. 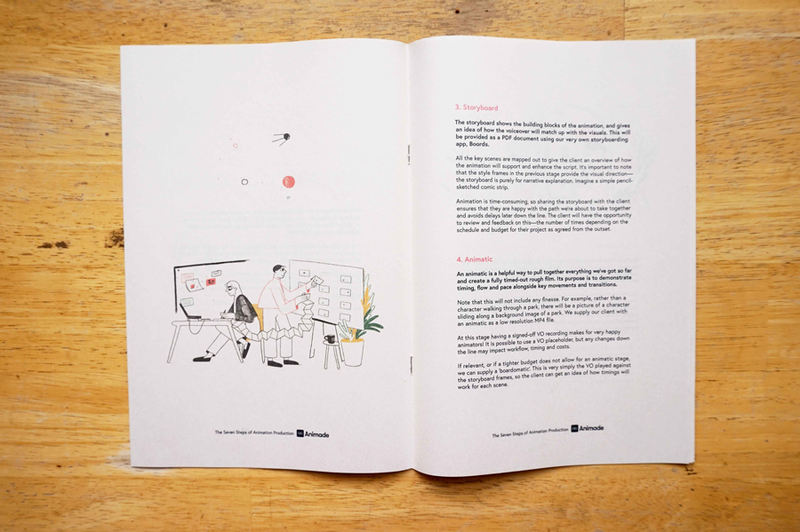 The friendly step-by-step guide walks through every stage of their process, from first phone call to final delivery. It’s an indispensable resource for Animade’s clients, and a fun read for anyone who’s wondered how animations are made. 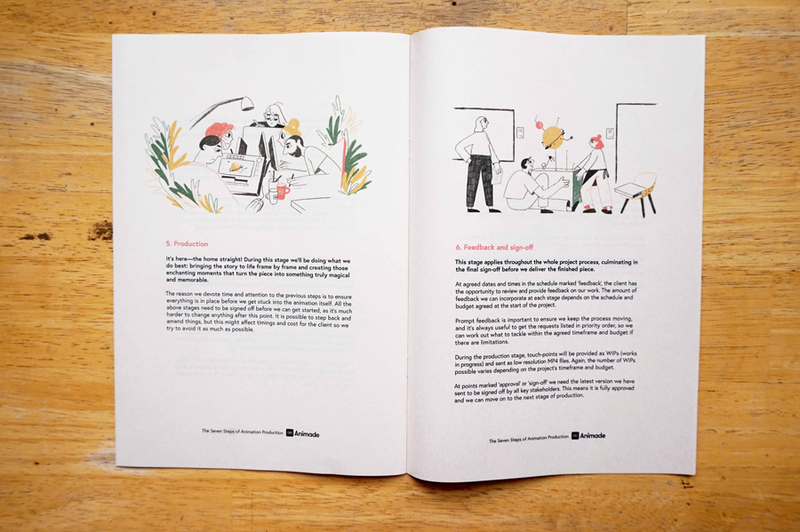 Since Animade often works with clients who have very little experience with animation, they decided to turn the blog post into a newspaper to help set expectations, and get everyone on the same page, when they first meet. The “friendly and pick-up-able feel" of our mini newspapers helps break the ice. 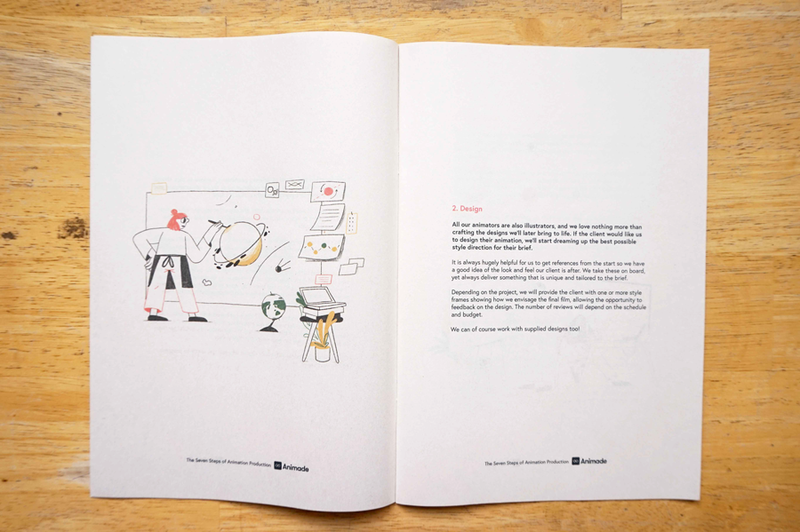 Using the original illustrations from their blog post, Animade designed a print booklet that’s fun and easy to understand. “Filled with bold, eye-catching designs, the newspaper has just the right balance of feeling disposable yet special,” says Knight. Print your own mini newspaper. Stapled and trimmed like a magazine – these booklet-sized newspapers are a great way to tell your story.